Delicious dining; Lalique bed linen; fragrant lotions and potions; high-speed WiFi in the skies and intuitive, increased entertainment options: these are a few of our favorite things. 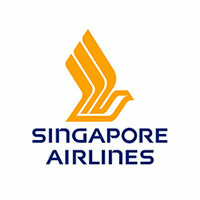 Singapore Airlines is debuting the A380-800, the world’s most comfortable and spacious aircraft, in the coming months. Here are some of its headline features, available on A380 destinations within Asia-Pacific, Europe and the United States. Fancy dining in the sky in style, with Wedgwood trays and Lalique crystal glasses? Passengers in Suites can expect exactly that, plus a tempting menu of top-notch dishes – designed by the International Culinary Panel (ICP) – starring fresh ingredients and local produce, plus delicious wine and champagne, carefully chosen by a panel of wine experts. The new menus will be introduced to Suites customers on selected routes, then progressively made available in other classes. Business Class passengers can also look forward to an indulgent dining experience, with all meals served on Narumi-designed chinaware. Service, as usual, will be exemplary. It’s like your birthday every day on the A380: passengers in Suites get a kit with toiletries and perfumes or a unisex kit containing lifestyle items, designed and created with help from Lalique. Each of the separate his-and-hers kits includes a fragrance, lip balm and a handy pouch. The ladies’ version has a face moisturizer and hand cream; gents get a body lotion and aftershave balm. The unisex kit comes with a Lalique candle, scented soap, lip balm and body lotion. For a limited time, a miniature ornamental crystal fish from Lalique will be included, too. Business Class passengers will also be spoiled with a pampering treat: a range of Penhaligon’s products will be available on board, including hand lotion, facial mist and fragrance. Customers travelling in Premium Economy Class will get a kit with a toothbrush, toothpaste and anti-slip socks, plus a special A380 livery to commemorate the launch. Children’s amenities from Disney will be available in all cabin classes for young flyers. Stay connected while you’re in the clouds, thanks to Singapore Airlines’ new A380: the world’s first GX-enabled A380 aircraft has high-speed, in-flight WiFi. The future really is mobile. If you hop on one of the new A380s, you’ll get even more control over your in-flight entertainment experience (IFE), thanks to the launch of myKrisWorld, a new interactive feature. This personalised IFE experience includes game-changing features based on customer preferences and viewing history. KrisFlyer members can bookmark and resume content, and customise and save preferences on myKrisWorld for future flights. KrisFlyer members can also select their favorite playlists from the SingaporeAir mobile app pre-flight, and transfer their selections to the onboard system. KrisFlyer members – plus passengers flying in Suites and Business Class – will also be spoiled with even more in-flight entertainment content choices. KrisFlyer members travelling in Suites can control the lighting in their private cabin, and save their lighting preferences for future flights. Clever.